We got a chance drove the 238-mile Hyundai Kona Electric and came away mostly impressed. Mercedes-Benz announced a truly long-range plug-in hybrid. Hot seats lead to a recall for the Kia Niro hybrid. And we explore who should replace Elon Musk as chairman of Tesla’s board in our latest Twitter poll. All this and more on Green Car Reports. We finally had a chance to drive the hotly anticipated Hyundai Kona electric and found it impressive all around. 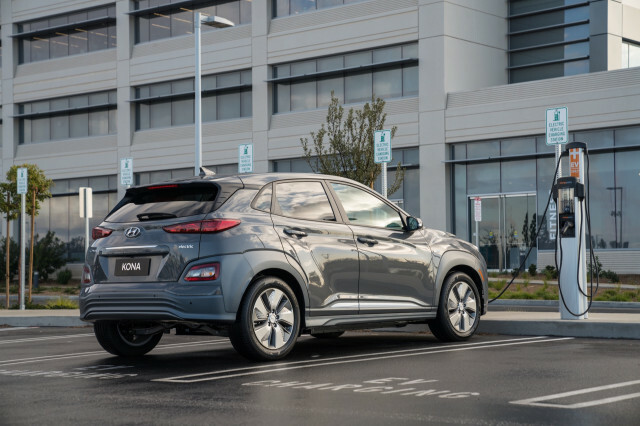 Less impressive were Hyundai’s plans to limit initial sales to California for this affordable small SUV with 238 miles of electric range. Tesla chairman and chief executive Elon Musk has agreed to step aside as chairman of the company’s board in a settlement with the SEC. Amid rampant speculation about who should replace him, we ask readers to weigh in in our latest Twitter poll. Kia announced a recall of 2017 and 2018 Kia Niro hybrids in response to a power relay that can overheat beneath the rear seat. Owners should receive notification in mid-November. Mercedes-Benz’s sales chief announced that the company’s new EQ Power GLC will be the first plug-in hybrid to be rated at more than 60 miles of electric range on the new WLTP European test cycle. While the U.S. EPA range number will almost certainly be lower, that would make it one of the first plug-in hybrid SUVs with as much range as the most capable plug-in hybrid cars. Spy photographers caught revealing photographs of the next electric car in Mercedes’s lineup, the compact EQB SUV, out testing. Finally, General Motors announced that its dealers will offer a first-of-their-kind bumper-to-bumper factory-backed extended warranty. That should include plug-in and electric models.